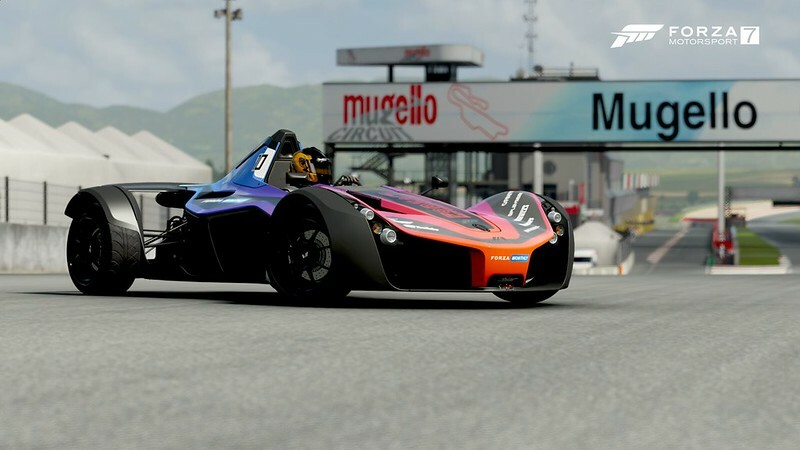 Forza Motorsport Forums > News & Events > Community Events > FM7 New Paint Space: "Forza Monthly" Themed Livery Contest! 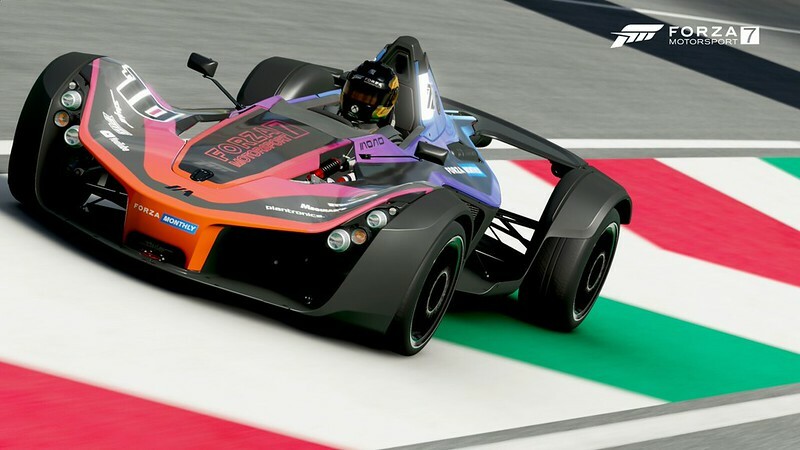 FM7 New Paint Space: "Forza Monthly" Themed Livery Contest! 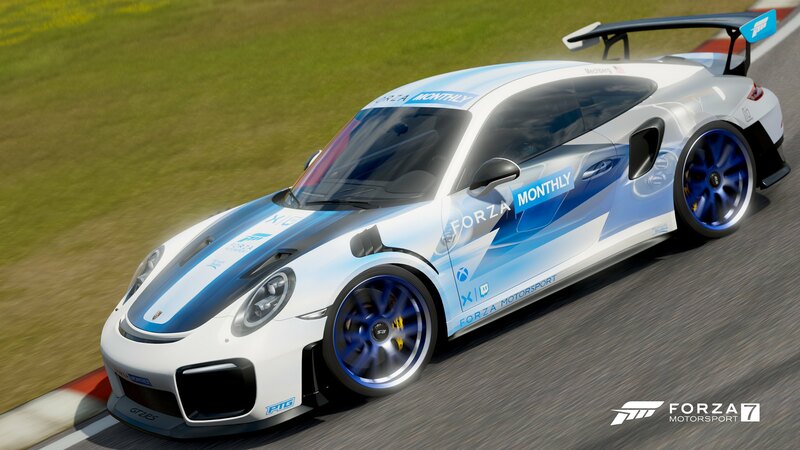 Welcome to the special edition “Forza Monthly” livery contest to celebrate the updates to the Forza Motorsport 7 paint space! What updates, you ask? •	Four new user-selectable lighting scenarios – Ambient Light, Ambient Dark, Sunny, and Sunset. 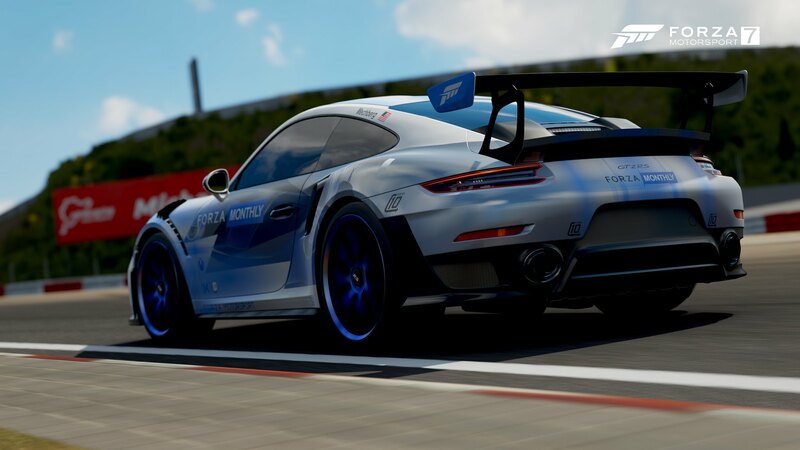 •	The functionality of Forzavista into the paint space; now players can open doors and hoods, get inside the car, and quickly spin around their car to see how a design is flowing. 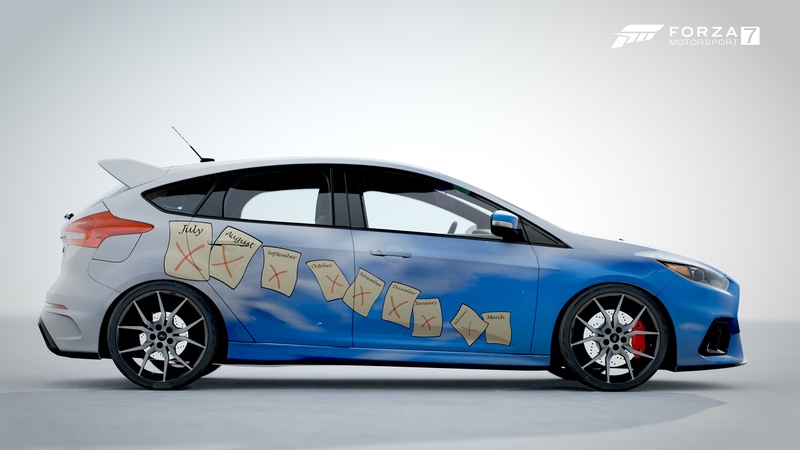 This contest will focus on creating a livery that really encapsulates the “Forza Monthly” shows. What does that mean? That’s up to you to decide! 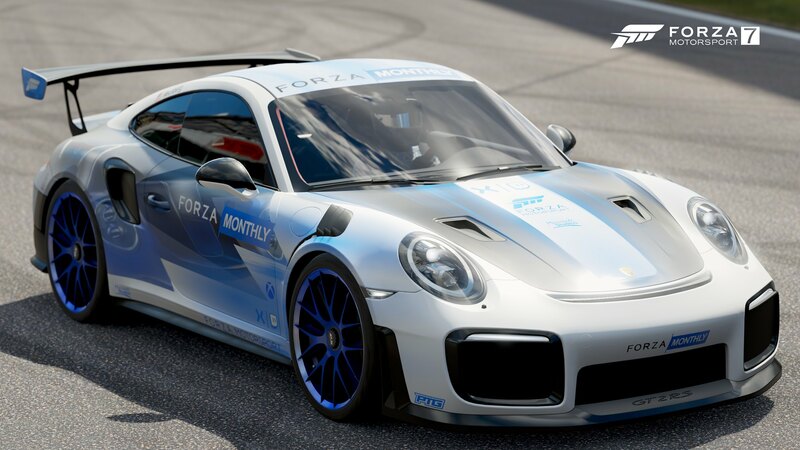 •	All Forza Motorsport 7 players will be gifted the winning car & livery! With my livery I have taken inspiration of the new paint spaces we received in the February Forza Monthly my favourite being 'Sunny' option, the background of the livery is one of the first things you see spawning in looking at the right side of the car and that is the sunny background recreated, of course have to have a timestamp on the design so that's why there's the calendar countdown. That Turn 10 Twitch mod, and the one and only Skreamies the spectacular. i WiLL assuredly Try ! ! ! 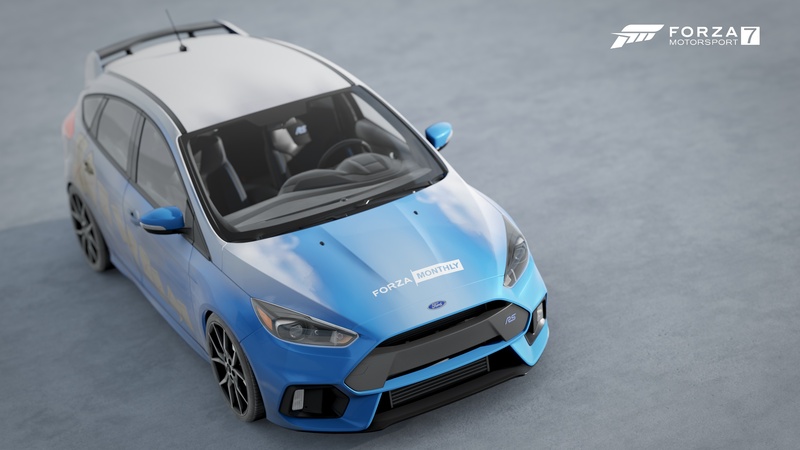 Happy that some features in FM7 for designs made their way over to FH4, i would LOVE to see the + stuff in colors from FH4 made available in FM7 ! 1 last thing to mention >> i am not getting ANY traction on my designs in FH4, almost as if blacklisted ! 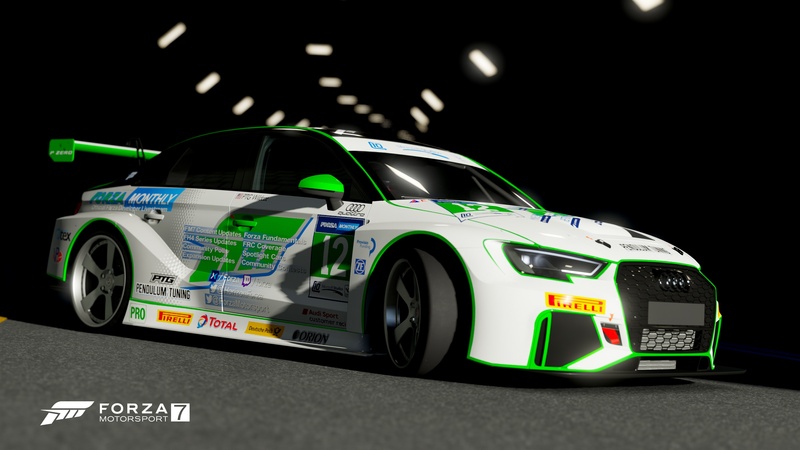 redoing some of them in FM7 is a pain, also liveries don't transfer well from fm7 to fh4, they are off centered ! are the car models in fh4 different ? Saving my Spot, right here. One of them TUS plebs. My entry, good luck to everyone! 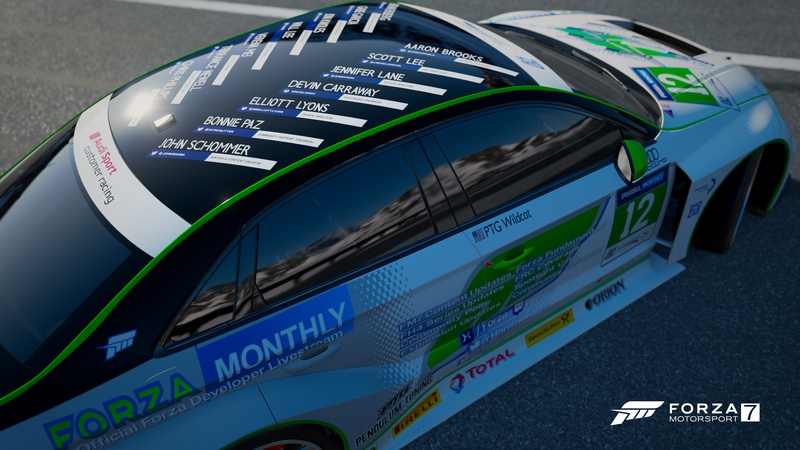 Not only did I want to pay homage to the topics that are discussed on each episode of Forza Monthly, I also wanted to include a nod to all the guests of the streams who have helped deliver and discuss that content. To that end, I have included the stream tags of every T10 and PG employee who has ever been a guest on the shows. Thanks to them all. 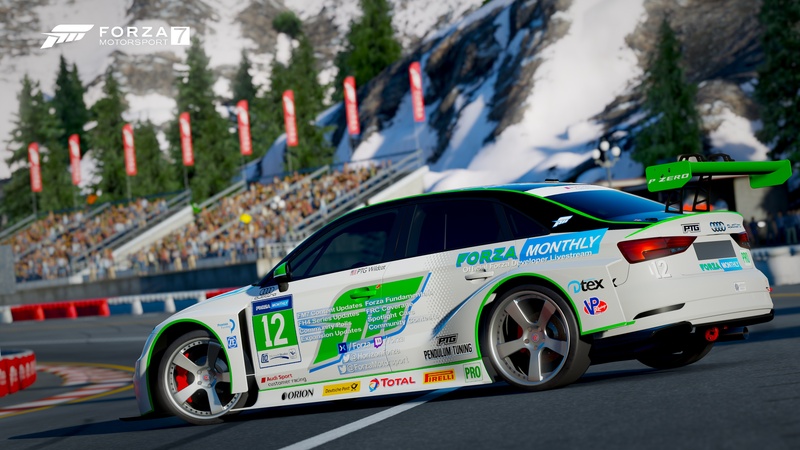 Since there are not enough words to say what every aspect of Forza Monthly encompass... I attempted to capture the sentiment in one phrase. 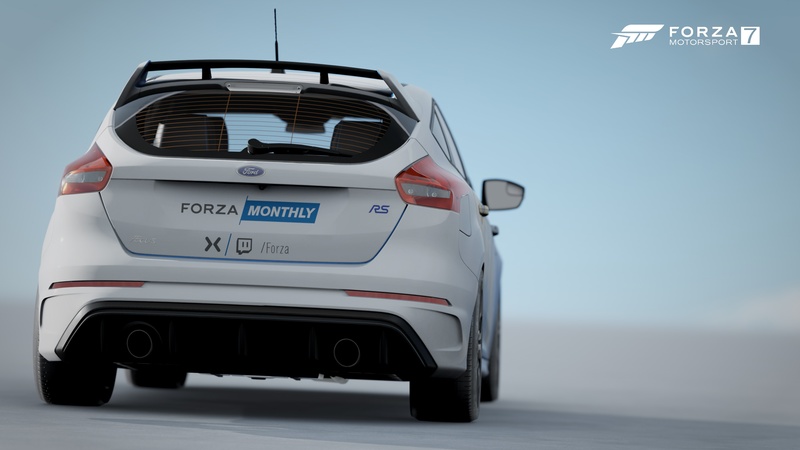 It's the Forza Monthly... it's All Forza - All the time! 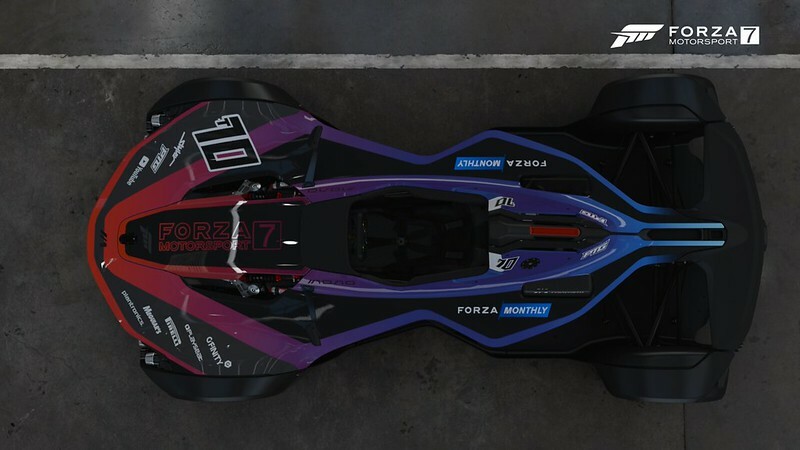 Also, it's about BOTH Forza Motorsports 7 & Horizon 4... what better what to capture that then have opposing paint schemes. Thank you all for your participation! Closing!